Live worksheets > English > English as a Second Language (ESL) > For or since > For or since? 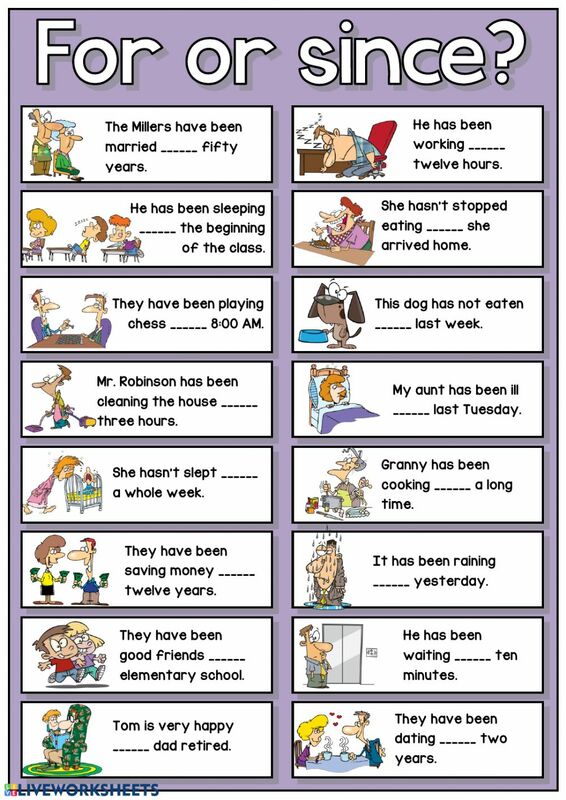 Fill in the gaps using "for" or "since". Copyright 4/8/2019 Víctor Gayol. Publication or redistribution of any part of this document is forbidden without authorization of the copyright owner.